Medford is the largest city in southern Oregon. It’s home to world-class wineries and breweries, a thriving artisan culture, and plenty of adventure. Here you can spend days hiking and exploring local parks and trails like Roxy Ann Peak and Table Rock, with views from their summit. Wineries and breweries dot the outskirts of town. The Craterian Theater in downtown Medford hosts musicals, plays and concerts year round. And the historic towns of Jacksonville and Ashland are just a short drive away. Here are a few of the best places to stay in Medford, Oregon. If you want to be in the heart of Southern Oregon close to all of the best shopping, dining, and entertainment Medford has to offer then downtown is the place to be. There are a variety of hotel options available as well as Airbnb and historic lofts to rent. Located in Downtown Medford’s historic Acme Building, Acme Suites furnished condominiums are only a short walk to the most popular restaurants, pubs, bars, and cultural centers. Each condominium has a trendy, loft feel with restored original maple floors, exposed barrel trusses in all units, and avant-garde interior design. 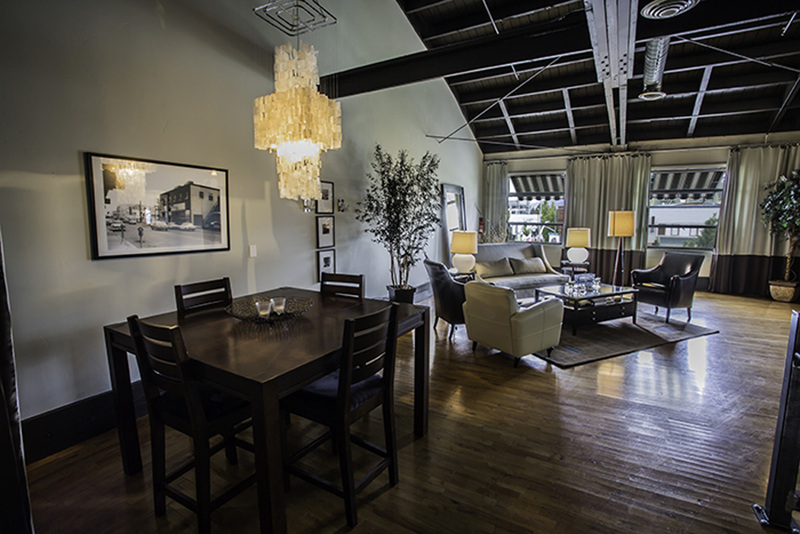 View all of the Acme Suites lofts available in downtown Medford. North East Medford is a great place stay whether you’re in Medford for a few nights or looking for a new monthly rental. Looking for places to stay in this area of Medford puts you close to the airport, the Rogue Valley Mall, and other shopping destinations while still maintaining a quiet neighborhood vibe. Acme Suites has 3 beautiful townhomes with access to a pool and fitness center available for both nightly and monthly rentals. Conveniently located off HWY 62 with close proximity to everything Southern Oregon has to offer, Meadowood townhomes will make your stay in Medford comfortable and convenient. Book vacation rentals and furnished monthly rentals in Ashland and Medford with an easy-to-use, Airbnb-like experience. View All of our Vacation and Monthly Rental Properties Available in Southern Oregon.